Reptile Electrolyte Soak | Zoo Med Laboratories, Inc.
Supplies electrolytes, B vitamins, Vitamin C, beta-carotene, a prebiotic, and probiotics for your pet reptile(s). 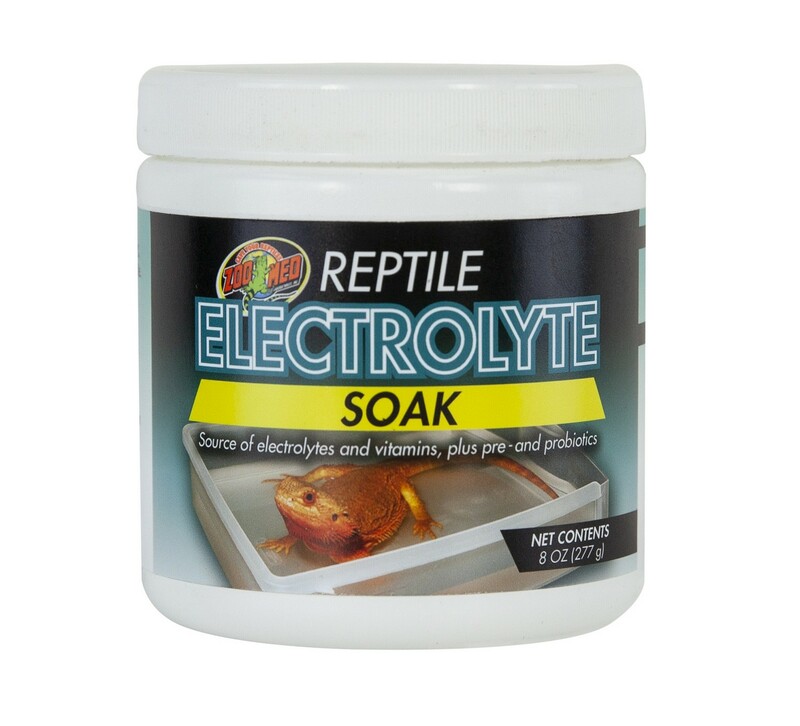 Great for use with newly acquired reptiles. Beta-carotene (Vitamin A) aids in color pigmentation. B vitamins help the body with proper metabolism. Vitamin C is an antioxidant and is also important for skin/immune health. Prebiotics are important fuel sources for beneficial bacteria, known as probiotics. Probiotics aid in proper gastrointestinal health and digestive function.